How Much Does the 2018 Ram 2500 Cost? How Many Pounds Can the 2018 Ram 2500 Tow? The biggest news for Ram shoppers is the expansion of trim levels for the Ram 2500 line. Already the truckmaker offers a broad array that ranges from work trucks to upscale rides. For 2018, the trim line will include a Harvest edition specifically for farmers and a Limited Tungsten edition for luxury lovers. Of course, you can still get the Power Wagon, Ram’s adventurous off-roader. Engine choices remain competitive across the lineup. You may prefer the standard V8. It kicks out 383 horsepower and 400 lb.-ft. of torque. When you add the 2500’s heavy duty build, you’ve got a great combination for every type of work chore. If your towing and hauling needs are even more heavy duty, you can step up to the 410-horsepower V8. This 6.4-liter HEMI V8 creates 429 lb.-ft. of torque. It can tow as much as 17,980 pounds. Cylinder deactivation reduces highway fuel waste. Ram 2500s have been praised for their ride quality, which is regulated by the five-link coil spring system. Ram’s exclusive air suspension is also offered. Able to balance the load by adjusting all four corners, this feature helps keep your ride safer and your drive more aerodynamic. The new 2018 Ram Harvest will have a fold-out rear step. Now you can access the bed with less stress and more speed. Since farmers are often off road, the edition has skid plates to protect vital systems. Other protections include a spray-in bedliner and mud flaps. It also has a raised suspension to ensure safe clearance over brush and other debris. Tubular side steps make it easy to enter the cabin. The exterior colors include exclusive Case IH and New Holland equipment colors. This lets you choose the exact red or blue to match your farm machinery. The tires are made for both on-road and off-road use. Ram also provides Ram Harvest 2500 buyers with a cargo camera to watch over the bed. Starting with the 2018 Ram Harvest, more models will be have the 8.4-inch touchscreen. UConnect brings you a world of entertainment via smartphone integration. The truckmaker has added Apple CarPlay for iPhones and Android Auto for Android-based smartphones. Drivers will appreciate Wi-Fi when they are stuck at remote jobsites. For businesses, this is the first year that Ram trucks can come equipped with Fleet Telematics. A rearview camera is now standard on all editions. Also new, Sirius Guardian has an SOS system as well as a roadside assistance feature. 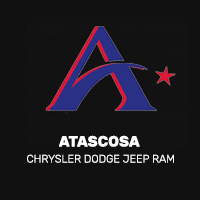 You can get the powerful 2018 Ram 2500 now at your Atascosa Ram dealer. At your test drive, our knowledgeable staff can help you match your hauling needs to the right truck.